Scooters are all about style apart from the obvious cheap mode of transport. 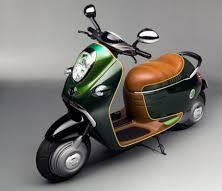 It is possible to showcase your style and personality based on the type scooter that you like to ride. You will realize that most teenagers are attracted to a particular type of scooter because of their lifestyle and personality. Celebrities also ride stylish electric scooter and also kids ride scooters. When it comes to scooters, there is no age limit. It all comes down to your personality and what appeals to you. Everyone has a choice keeping in mind that there is a wide variety of scooters available today. If you are all about the beach lifestyle, then a beach scooter will compliment your lifestyle. The beach scooter is all about the laid back lifestyle and relaxation. When looking for a beach scooter, aspects like speed are not a big priority. The priority here is to look for something that compliments your pair of shorts, flip flops and sunglasses while cruising on the beach. In big cities with a lot of traffic, it is impossible to use a car sometimes. When you are in a hurry, and you want to maneuverer through traffic, you need a scooter that will make it possible for you. For people with a busy city lifestyle, then a city scooter is the best option. A city scooter should be fast and also small in size for easy parking and movement within the city. You don’t have to be a celebrity to own the cool celebrity scooter. 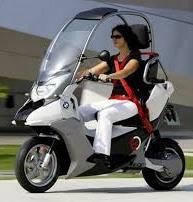 This is a scooter if you are all about the cool lifestyle and if you want to turn heads. When looking for a celebrity scooter, looks are important because you don’t want to settle for something ordinary. You can look for a unique and stylish scooter that will turn heads everywhere you go. These are scooters for people who are conscious about the environment. For people who love to care about the environment, the best scooters are those that use less fuel. We also have electric scooters that go a long way in saving the total fuel consumption at the end of the day. These scooters also have zero or minimal emissions making them even friendlier to the environment.